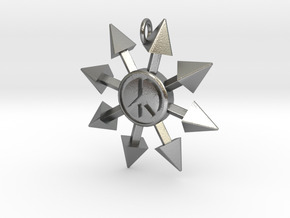 The solid pentacle pendant in stainless steel. 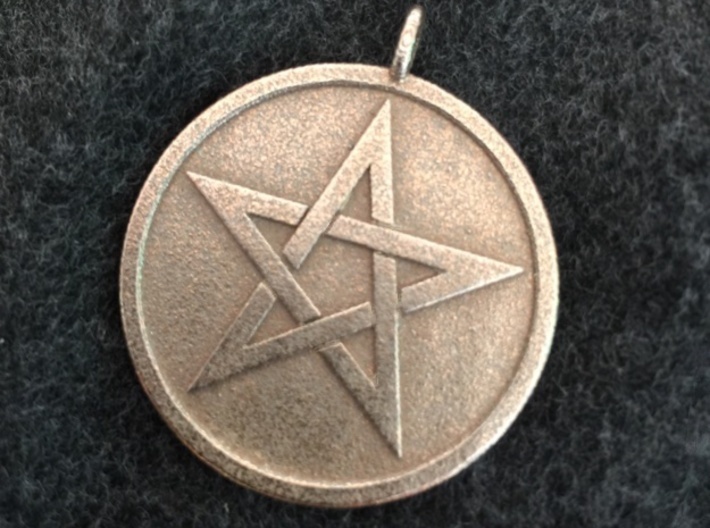 In Wicca, the pentagram represents the union of five elements: air, fire, water, earth, and spirit. 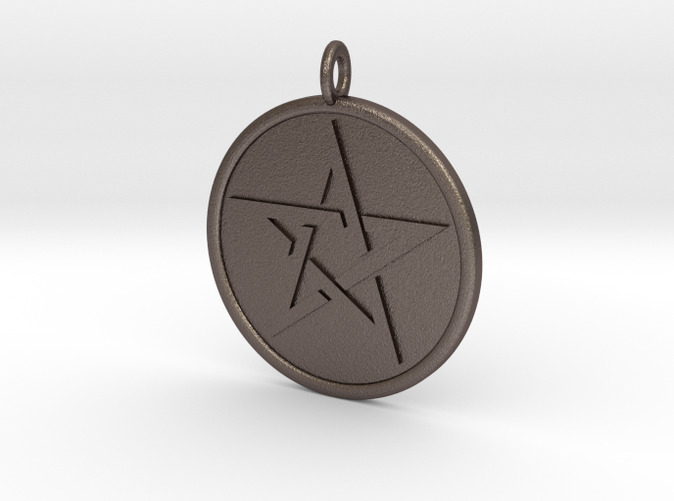 A customer asked for a pendant design in which the pentacle was inset into a solid background, as opposed to the empty space of my other pendant designs. Who am I to say no? 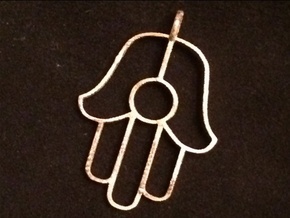 The pendant is about 1 1/2" (35 mm) across. I've changed the model slightly since the stainless steel photograph was taken; compare it to the raw brass picture for the difference.